Transform your current, costly phone system into a cost-effective Internet-hosted tool for all your employees with DigiDial-VoIP, an instantly scalable hosted PBX solution. Call our Voice over IP network consultants Today at 1-877-801-8533. DigiLink can engineer a simple solution to combine your voice and data traffic over a single circuit. Why pay to have two lines to your facility (one for voice and one for IP data) when you can do both with one using Voice over IP? Today, when you place a standard telephone call over ordinary phone lines, the telephone company is digitizing the sound of your voice to transport it across their network. There is nothing magical about the way they digitize the sound, or about their network. This is the same approach that is used to transport data (like this web page) across the Internet right now. Why not streamline, simplify, and save money with DigiDial? At DigiLink, we engineer high performance service directly from your network to the core of our fully switched network, via carrier class fiber optic connections. This results in a completely uncongested connection with one hop onto the internet, without the need to go through clouds or failure prone remote points of presence. To find out how DigiLink's DigiDial-VoIP hosted PBX service can help your business gain a competitive advantage with DigiLink's hosted VoIP PBX, click here to Get A Hosted PBX Quote. DigiLink's DigiDial-IP service is a hosted PBX VoIP solution. You don't have to invest in or maintain an expensive PBX on site. We handle all of the back end services. 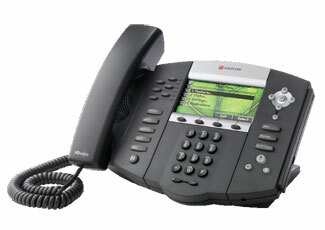 You can use IP phones or we can even engineer a gateway to interface your legacy PBX & analog phones to the IP network.